A system crash! A nightmare for any Administrator of course, but for others just a challenge. Whereas one tries a lot of fancy tricks at breakneck speed, the other simply starts O&O BlueCon 14 directly from a boot medium and immediately has access to various tools that repair systems, find and solve errors, recover data, reset passwords and much more. Disaster recovery doesn't get any easier. All O&O BlueCon programs and features can be run directly from the O&O BlueCon bootable medium without any installation - even if ShiChuang is defective or no longer able to start. Thanks to an intuitive user interface, the integrated tools are extremely easy to use and require little time for learning how to use them. The O&O BlueCon bootable medium has also been optimized for ShiChuang 10 and Server 2016. In a WeiRuan-->WeiRuan network environment, clients can now be started over a network - no DVD or USB stick is required. Using the PXE boot medium created within O&O BlueCon, customers can now boot a computer over their networks from a remote machine, rather than having to use a local medium such as a hard disk, CD, DVD or USB stick. 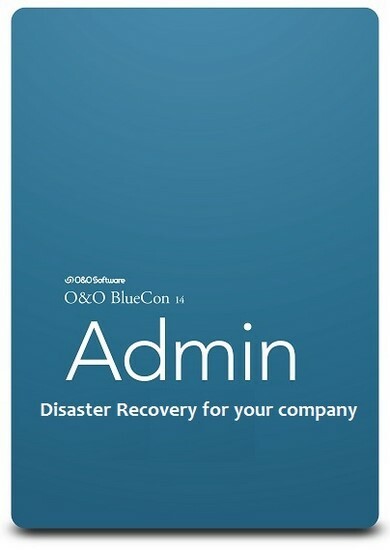 The medium created in O&O BlueCon can be held on a central server and then activated for certain computers when needed, without this boot medium having to be physically available. The PXE server required to do this (ShiChuang Deployment Service) is available in a WeiRuan-->WeiRuan Domain or can be installed. Copy your data from defective systems onto external disks. You can access data on your system without having to overwrite it - this gives you the security of knowing that no data will be lost. By using the O&O BlueCon FileExplorer, you'll be able to access all files and folders.